We all know how important it is to detox our bodies from the harsh chemicals, pesticides, and toxins we come in contact with everyday. But did you know your skin loves a good detox too? 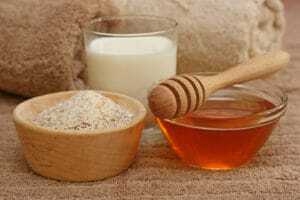 That is why we have come up with these 3 DIY skin detoxing face masks. The skin is the body’s largest organ, and it is constantly in contact with toxins that can become trapped in your pores. Pores can become filled with pollutants and dirt (hello blackheads!). While detoxing from the inside out through diet and exercise is surely the best way to go, giving your skin an extra boost and helping it get rid of the dirt and buildup can help you get clearer, tighter, brighter, softer, and younger looking skin. Starting a daily or seasonal skin care detoxification regimen can brighten skin and reduce acne, inflammation, and redness. Treat yourself to a DIY skin detoxing face mask once a week to keep your face tight and glowing. Don’t forget to always apply your masks onto clean make-up free skin. Coffee is loved for its ability to reduce face and eye puffiness, cleanse, exfoliate and moisturise the skin. The antioxidants in cacao powder are used to fight ageing, and yoghurt provides intense moisture for visibly glowing skin. Add all the ingredients together in a small bowl and mix until it forms a smooth paste. Apply on to your skin (I use my fingers for this one) and leave on for about 20 minutes. Wash off with warm water and a face cloth. Tip: This is also a great recipe for a body scrub! Coffee is well known to reduce cellulite and tightening up the skin, it’s an excellent exfoliator! Don’t throw away your used coffee grounds. Mix them up with some olive oil and scrub away in the shower for extra smooth and glowing skin. You can also add a spoon of cane or coconut sugar for extra moisture. Oatmeal is full of anti-oxidant and anti-inflammatory compounds and is known for its skin-soothing properties, relieves dryness and lightly exfoliates the skin. Oats contain natural cleansers (saponins) that gently remove dirt and oil from the pores. Cinnamon is a great anti-septic for acne prone skin, and also plumps the skin, reducing the appearance of fine lines and wrinkles. This mask is so good you could eat it! Mix all the ingredients together to form a paste. Add milk or water to adjust the texture. Apply to clean skin with your hands or an old paintbrush or foundation brush. Leave on for 20 minutes and rinse off with warm water. Enjoy your supple and soft skin! Note: Cinnamon can cause a slight tingly/burning sensation, so it’s useful to do a patch test before applying. Turmeric is one of the most potent antioxidants given to us by mother nature, and in East Asia it isn’t just used in curries! 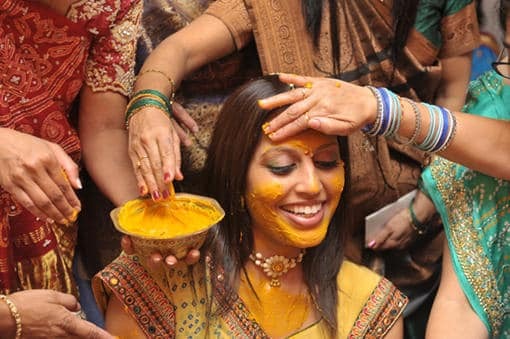 Indian brides apply turmeric masks to get glowing blemish free skin in preparation for their special day. Turmeric reduces inflammation and redness, and promotes skin healing and rejuvenation. Due it’s antioxidant properties, it is used to soften lines and wrinkles, giving the face a brighter, more youthful appearance. Add the turmeric, honey, and milk/yoghurt into a small bowl. Mix it all together until it forms a thick paste. You can adjust the milk/yoghurt to make it thicker or thinner, but make sure its thick enough to stick to your skin. You can use your fingers or an old paintbrush to apply the mask to your face. Leave it on for 20 minutes, then rinse off with warm water. Note: Turmeric is a light dye that can stain anything, so make sure not to get in on your clothes and use an old towel to dry your face after you wash it off. I always apply some cold-pressed olive oil to my skin after the mask and wipe it clean with a cotton ball or face cloth to remove the slight yellow colour. Don’t worry – it comes off. If you don’t have time to make your own DIY skin detoxing face masks then try Neals Yard Remedies face masks as we love these also. 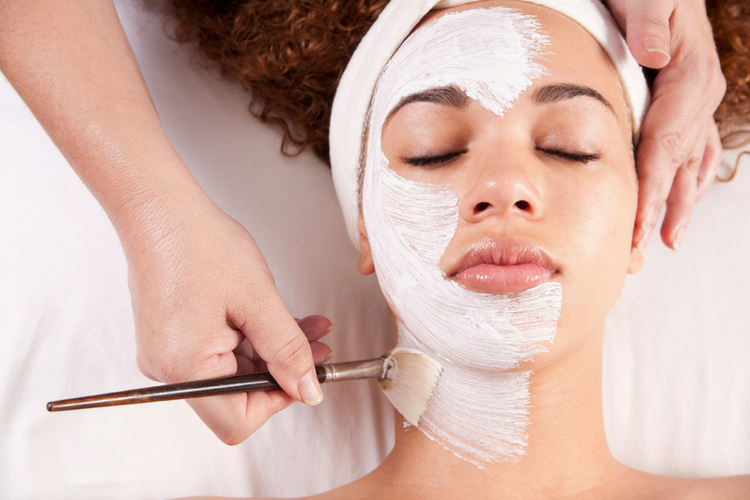 We hope you have enjoyed reading about or DIY skin detoxing face masks and will try them at home. Let us know what you think of them! 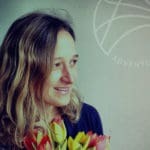 Find out more from our blog with recipes, tips on yoga, wellness and travel. 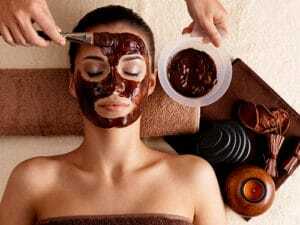 If you want to get away and try these DIY skin detoxing face masks somewhere where you can feel truly pampered join us on one of our UK Yoga retreat weekends or try a European or long haul option to really treat yourself.